This year marks the 30th anniversary of the 3.5-inch high-density floppy disk. At first glance it was neither floppy nor disk-shaped, but this storage medium became the de-facto standard for file exchange throughout the 1990s. 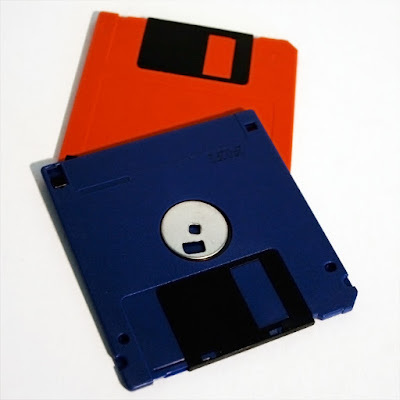 Floppy disks had been around for about two decades before 1986, starting with the dinner mat-sized 8-inch floppy (which really was floppy), then the popular 5.25-inch floppy used by the original IBM PC and many other contemporary systems. Both those formats were essentially the same thing in different sizes, and both suffered the same problems of bendability and an exposed magnetic surface that could easily be damaged. The 3.5" format was first introduced in 1983 and was a huge step forward. A hard plastic case with a sliding metal or plastic shield protecting the magnetic surface provided much more protection for the disk, dispensing with the need for a sleeve that older floppies used. The disk could be write-protected with a slider (the 5.25" disk used a stick-on label) and the floppy itself would easily fit in a shirt pocket which made it very transportable. The original 1983 variant could only store 360KB on a PC (single sided, double density), doubled to 720KB in 1983 (double sided, double density) and then doubled again to 1.44MB in 1986 (double sided, high density). There was never a commercially available "single density" 3.5" disk, this name was carried over from the convention used on 5.25" floppies. In 1987 an attempt was made to double the capacity again with the 3.5-inch ED diskette, but this never took off. The HD version could hold a decent amount of data, be it spreadsheets, games or smutty pictures and it became very popular with this drive becoming standard in just about everything. This type of disk drive remained standard in PCs until the early 2000s when the rise of USB thumb drives and the internet finally made floppies redundant. Although obsolete for most uses today, they can still be found in industrial controllers and development systems. One irritation of Windows XP was that you sometimes had to load drivers in from floppy disk, in an era when floppy disk drives themselves were absent. And the disks themselves are not cheap these days, coming in at about €1 a pop or more. 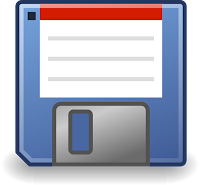 But the floppy disk itself has left one lasting legacy, as the almost universal "save" icon in applications. Instantly recognisable by almost everyone, include those too young to actually remember floppy disks themselves..